Daniel Defense (DD) DDM4v7 (also written DDM4 v7) 10.3″ 5.56mm NATO/300 AAC Blackout (300BLK) DGI Tactical AR-15 SBR/Sub-Carbine with DD MFR 9.0 (Daniel Defense Modular Float Rail 9.0) for Military Special Operations Forces (SOF), Law Enforcement SWAT and Civilian Tactical Shooters! (Video!) | DefenseReview.com (DR): An online tactical technology and military defense technology magazine with particular focus on the latest and greatest tactical firearms news (tactical gun news), tactical gear news and tactical shooting news. Daniel Defense (DD) recently introduced a select-fire/full-auto DDM4v7 (also written DDM4 v7) 10.3"-barreled direct-gas-impingement (DGI) tactical AR-15 SBR (Short Barreled Rifle)/sub-carbine with DD MFR 9.0 (Daniel Defense Modular Float Rail 9.0) modular tactical handguard/rail system in 5.56mm NATO (5.56x45mm NATO)/.223 Rem. 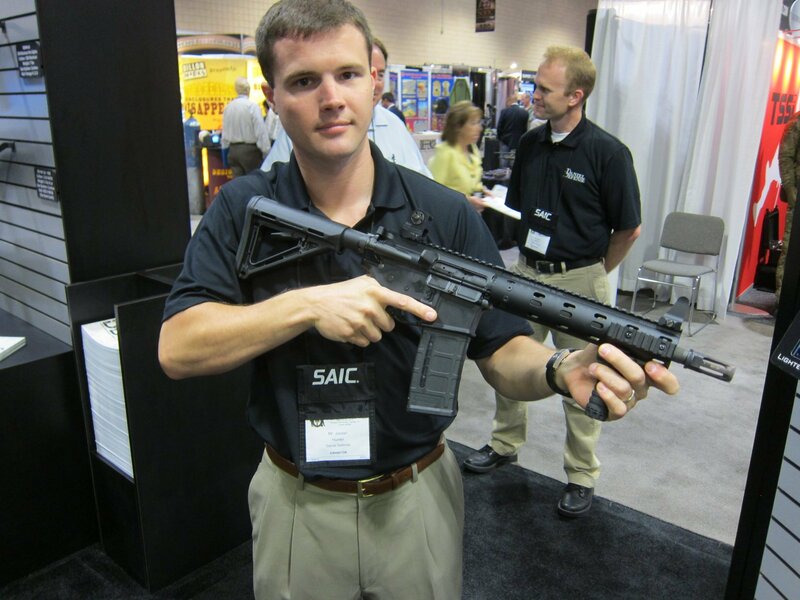 and 300 AAC Blackout (300BLK, or 300 BLK) for military Special Operations Forces (SOF) and law enforcement SWAT assaulters/operators, but it would seem logical that a semi-auto-only DDM4v7 SBR and complete upper receiver either is already or will soon be available for civilian tactical shooters who can legally purchase them (unconfirmed/unverified). If not, it certainly should be so. DefenseReview interviewed DD sales manager Patrick Kisgen about the new weapon at NDIA Special Operations Forces Industry Conference 2012 (SOFIC 2012). 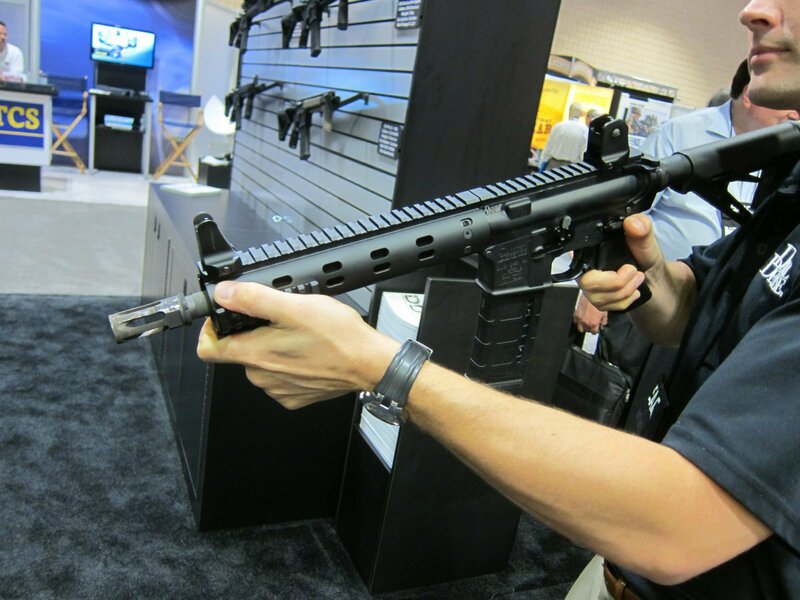 The new Daniel Defense DDM4v7 10.3" Tactical AR SBR is essentially just a shorter version of the Daniel Defense DDM4v7 mid-length tactical AR carbine with DD MFR 12.0 (Daniel Defense Modular Float Rail 12.0) lightweight modular rail, which DR wrote about in June 2011. You can also look at it as an updated, modernized, lightened and improved version of the DD MK18 Mod 1 CQBR (Close Quarters Battle Receiver) AR SBR, and/or DDM4LE Duty Rifle Special Services Package (SSP). "Yeah, the user community's really been screamin' for a great SBR", said Kisgen. "We've had a lot of success with our MK-18, which is very light, but still has the big, bulky quad rail on it. So, using the success that we've seen with the version 7, with the modular float rail on it, we wanted to give the market what it was asking for, which was a shortened version of that v7", he continued. 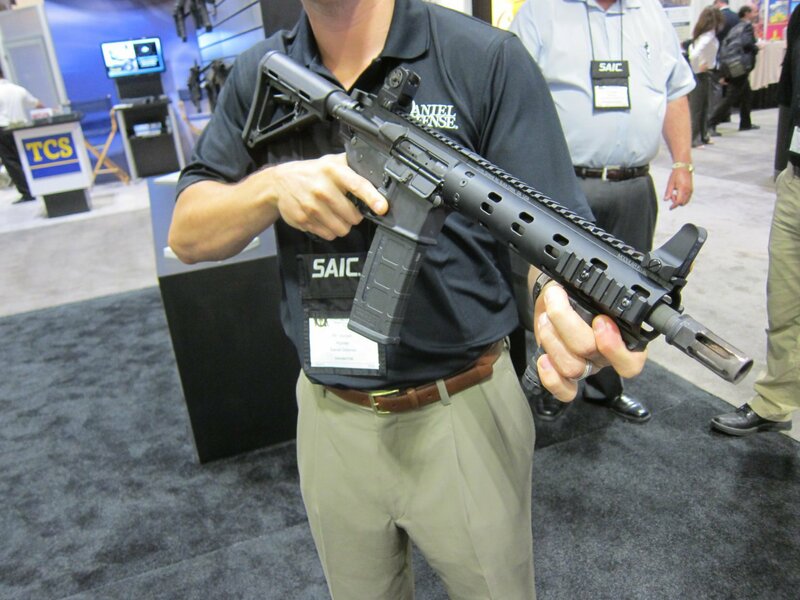 The new SBR features a Daniel Defense cold-hammer-forged (CHF) 10.3" barrel. The MFR rail, "a minimalist-type approach" according to Kisgen. He also told Defense Review during the interview that he doesn't foresee the DDM4v7 10.3" AR SBR being offered in 6.8 SPC (6.8x43mm SPC). 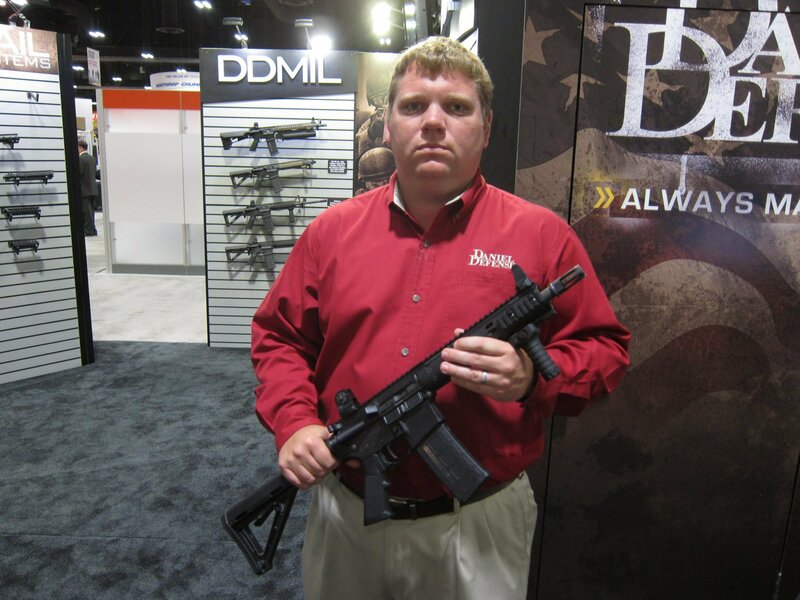 When we asked Kisgen whether or not they'd run the DDM4 v7 10.3" at the range yet, Kisgen replied "Yeah, we've run the hell out of this thing. Ya' know we've put thousands of rounds through this one suppressed and unsuppressed. It runs like a champ." Good answer. The Daniel Defense DDM4v7 10.3" AR SBR with DD MFR 9.0 rail system will come in at approximately $1600.00 USD, which is a reasonable price considering the high quality of the components, in DR's opinion. That price includes what appears to be either a MagPul CTR – Compact/Type Restricted or MOE Carbine – MagPul Original Equipment (most likely the MOE Carbine Stock – Mil-Spec Model) and DD front and rear rail-mounted fixed BUIS (Back Up Iron Sights). If you prefer to purchase it without the factory BUIS and instead opt for flip-up BUIS, (presumably for a slightly lower cost), you can. It's always nice having choices.